Why Are My Images Getting Cut Off Halfway? This is something that typically happens when using the 3dcart Online Store Manager's File Manager to upload image files which are very large. Usually files larger than 2mb in file size or images that exceed a 2000x2000 pixel resolution will experience this - if you attempt to upload them via the File Manager in your Online Store Manager. It's a very common issue when transferring images from a camera's data card directly to your site without first resizing them in a photo editing program for web use. 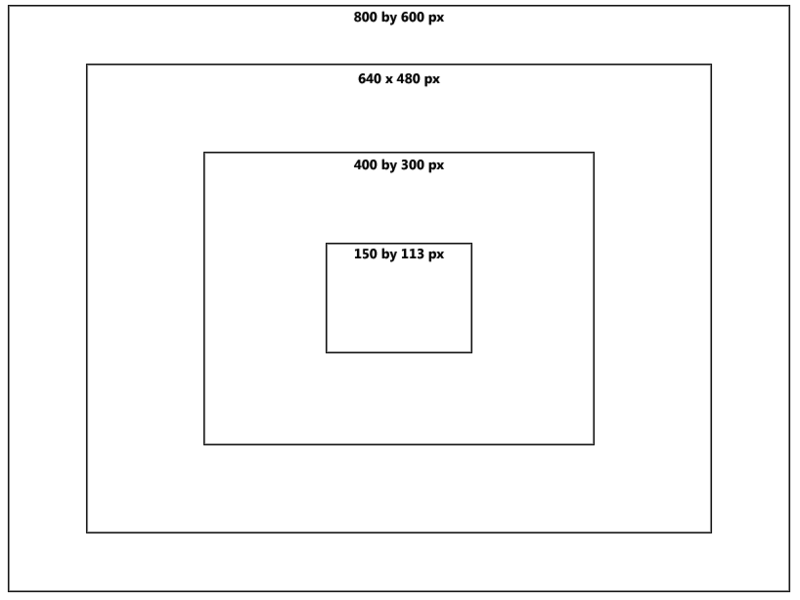 The following image is an example of some of the more common image resolutions so you can get an idea of how the image sizes appear on the web. The important thing to keep in mind is that different users and site visitors will have their respective computer displays set at different screen resolutions. 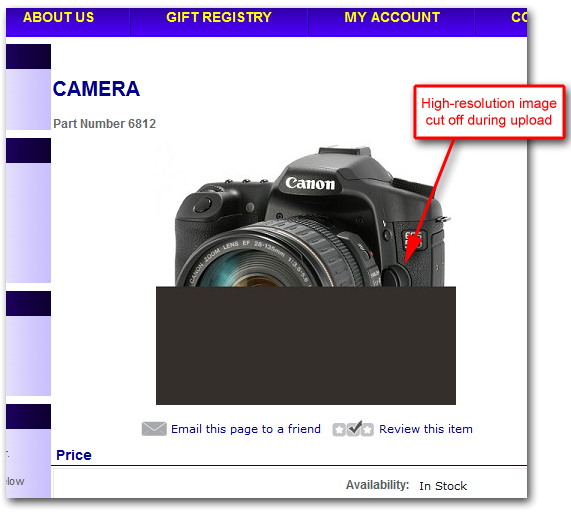 For your store's product display purposes, it is usually best to keep images to 400 to 600 pixel width ranges as these usually translate well to a wide variety of computer displays. However, if your store absolutely requires large resolution or large file size images, then the best solution would be to upload the images via FTP since it is generally a better way to upload larger files. For information on using FTP, please review our KB articles on the matter here.